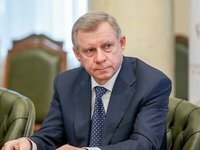 Governor of the National Bank of Ukraine (NBU) Yakiv Smolii has stated there are grounds for easing the monetary policy of the central bank. "Today there is a tendency and there is every reason to revise and weaken our monetary policy. This decision will be discussed by the monetary committee [January 29-30] and approved by the NBU board," he said when reporting to the Verkhovna Rada. The banker noted that the final decision on the refinancing rate would depend on a number of macroeconomic factors both in external and domestic markets. "Let's hope that the trend [the increase of the refinancing rate], which was observed in the previous years, peaked and will be replaced by a downward one," he said.